It's hard to see but if you look on the right and bottom edge, there is some extra space. It seems impossible to expand it to use that space. What is causing this? I used apps that make the window take up the full screen size, such as Breeze. 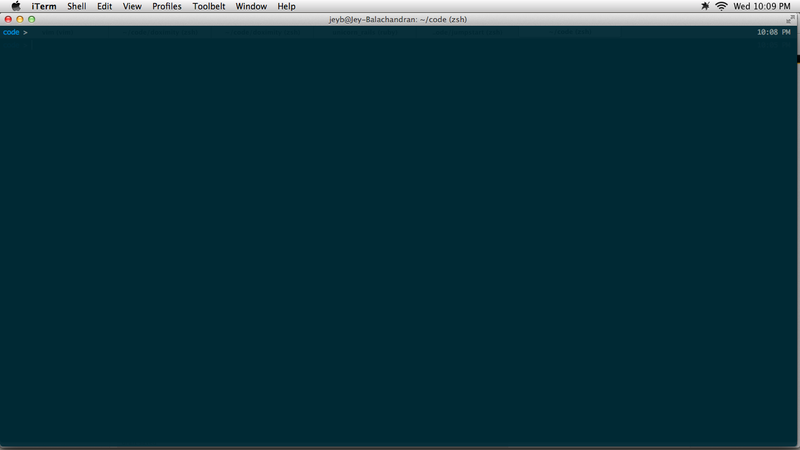 All other apps work fine, taking 100% of the screen space, except iTerm2 and Terminal. 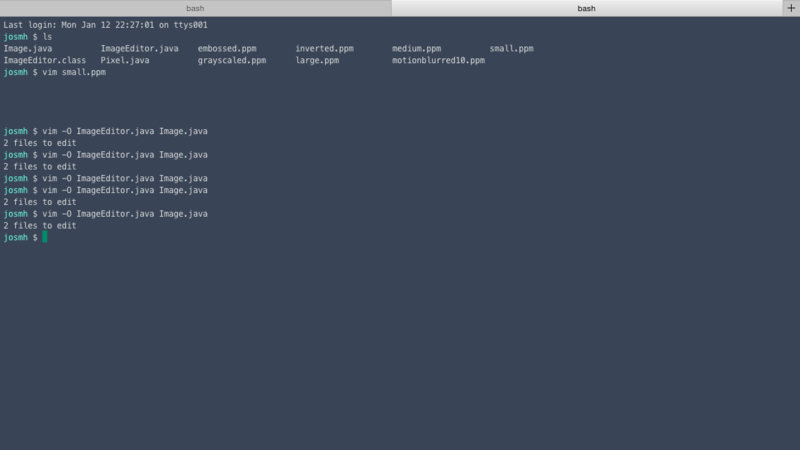 Btw, I do know about native fullscreen but I would like to know why I can't make my terminal take up 100% of the space. Terminals have a fixed character width and height, and most (all?) terminal application programs make the window an even multiple of that size (then add the window title, some margin around the sides, etc. ), so there will never be a partial row or column visible. They could theoretically add more margin at the right/bottom of the window when the window is zoomed out, but then your question might merely be replaced with someone else asking “Why is there always some blank space at the window edge when the window is zoomed?”. And what should happen to the window if you resize or show/hide the Dock (for example) such that the window is no longer the same dimensions as it would be if you zoomed it again to fit the new display area? When you Zoom a window, it isn’t placed into a “zoomed” state, it’s just resized to the current available display area at the time you Zoom it. If the available display area changes and you haven’t asked it to Zoom again, then what? Not that these aren’t solvable, but there are a number of dynamic behaviors to consider, and terminal applications typically keep things simple. Note that Mac OS X Lion “Full Screen” is an actual state that the window is in and Terminal always fits the window to the size of the display, updating when the display size changes, and adds margins as mentioned above. The size of the Dock, for example, is ignored. Hold down control and you can resize it to take the whole screen (although it won't necessarily add another row or column of text). Also, in the beta version, there is an advanced preference to make this the default called "terminal windows resize smoothly." Here's a workaround I've been using for Terminal (should work with iTerm2 too). Use the standard Window > Zoom option followed by the Fullscreen option of Spectacle (⌥+⌘+F). Window > Zoom leaves the terminal window in the original state (as seen in your question, with the thin space on the right). Full Screen option of Spectacle just moves the terminal window by half a character (I guess) to the left and fills the gap on the right. This works for me in iTerm 2 (on Mountain Lion). Go to: Preferences -> Profiles -> Window. Push command+control+f or find the fullscreen option (or click the green circle button in newer versions of OS X) and it takes up every available pixel. As of iTerm version 3 I can set a very high value for columns and rows in Preferences > Profiles > Window and the new terminal window resizes to exactly the needed column and row values needed to fill the window. No other configuration tweaks needed. Columns 300 and rows 80 for me on a 2012 MacBook Pro 15" Hi-Res. Not the answer you're looking for? Browse other questions tagged terminal fullscreen iterm .